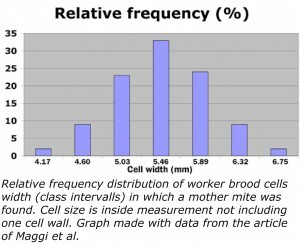 This entry was posted in Cellsize, Featured, VSH and tagged cellsize, resistance, small cells, Social learning, varroa resistance by Erik. Bookmark the permalink. Hace 7 años que tengo 22 colmenas en 4,9 y al principio les costo un poco eliminar la varroa pero en la actualidad se defienden de maravilla. 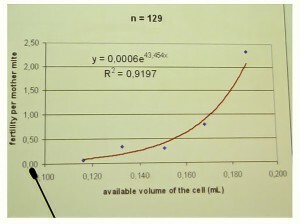 Referring to the depth of the cells. This is almost the same as saying cells with smaller cell size. It’s just adding the depth of the cell to the bottom area (“cell size”, mm between the parallel sides of the cell, is a way of presenting the bottom area of the cell). 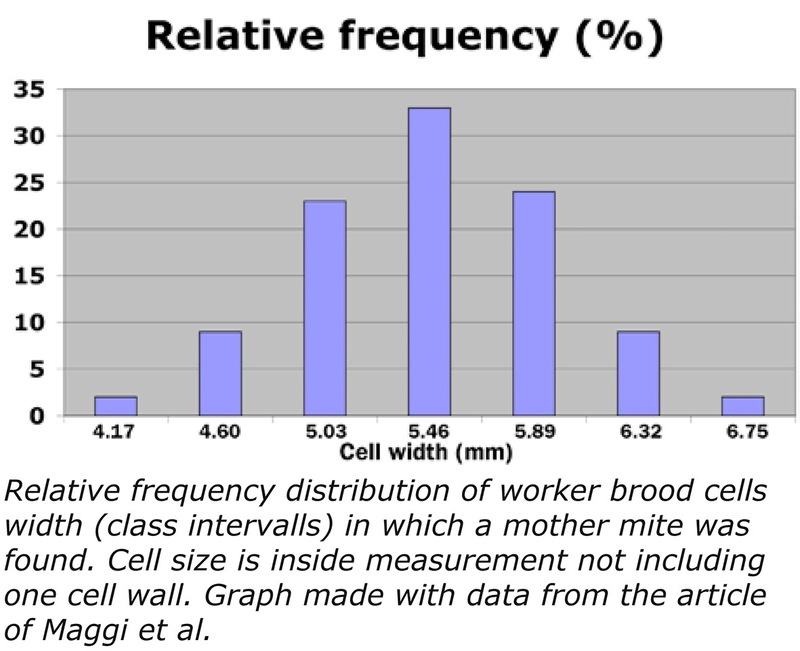 Maybe this also indicates that the distance between the combs might influence if it’s narrow enough to give shorter cells. If the distance between the combs are bigger than necessary the depth of the cell will though not be bigger. I think that the bees do not change the depth of the cells. 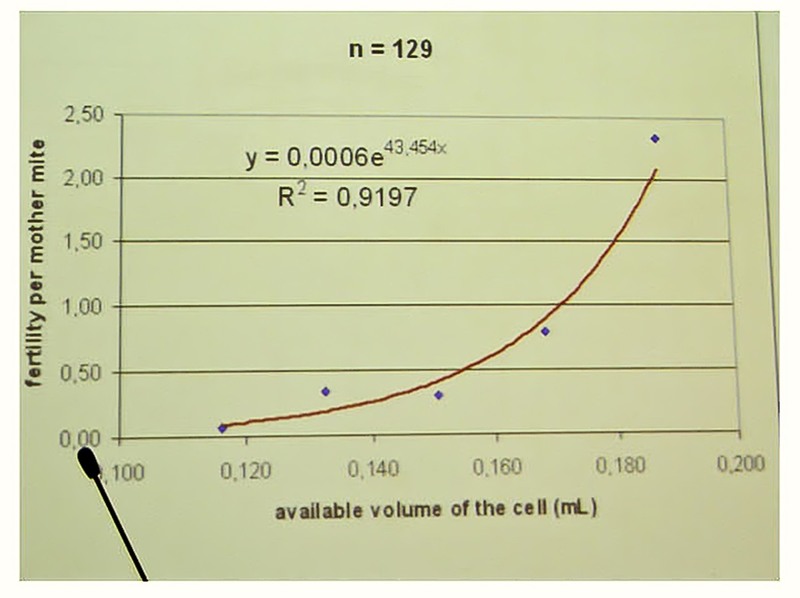 There is a fixed correlation between cell width and cell depth. Yes Stephan, you explained that better than I did in the blogpost.